What goes around, comes around. At least that’s what’s happening for BTG Pactual. The scandal-tainted Brazilian investment bank is in talks to sell its latest acquisition, BSI. The Swiss bank joins the list of assets on the block to shore up cash after the arrest last week of former BTG Pactual Chief Executive André Esteves. Back in 2009, Esteves took advantage of just such a fire-sale situation, buying back Pactual from UBS which had acquired the Brazilian firm three years earlier. The Swiss bank and wealth manager was desperately raising money to cover billions of dollars of financial-crisis losses on subprime mortgages. Esteves’ $2.45 billion purchase price was 21 percent less than what UBS had paid for his firm. He had initially stayed at UBS as head of fixed income before leaving in 2008 to set up BTG, his investment company. Until late last month, Esteves was on a roll. In 2010 he persuaded a group of global investors including Singapore’s GIC, China Investment, JC Flowers and the Ontario Teachers’ Pension Plan Board to invest $1.8 billion. He snapped up a retail bank in Brazil and a brokerage covering Chile, Peru and Colombia, and he beefed up the trading desk as higher capital requirements and other regulations forced larger international rivals to scale back. BSI was billed as a game-changer for BTG Pactual – akin to how UBS expected its 2006 acquisition of Pactual to transform its Latin America business. The addition of the Swiss business meant that 60 percent of Esteves’ firm’s earnings would come from outside Brazil. He even managed to cut the price he paid: the cost of a BSI agreement to assuage the U.S. Department of Justice meant BTG Pactual paid 1.25 billion Swiss francs, a 17 percent discount to its original offer. Now BSI is one of the biggest assets Esteves’ successors at BTG Pactual may be prepared to offload in order to ensure the bank doesn’t run short of cash. A sale for around 1 billion Swiss francs would rhyme neatly with Esteves’ 2009 UBS coup. BTG Pactual is in talks with three unspecified international banks about selling BSI, the Swiss private bank it bought in September from Italy’s Assicurazioni Generali for $1.3 billion, Reuters reported on Dec. 4. The Brazilian investment bank is looking at ways to shore up cash after André Esteves, at the time the company’s chairman, chief executive and controlling shareholder, was arrested on Nov. 25 on suspicion of obstructing an investigation into corruption at state-run oil company Petroleo Brasileiro, known as Petrobras. Esteves quit as chairman and CEO on Nov. 29 after Brazil’s Supreme Federal Court ruled that he should stay in custody for an indefinite period. 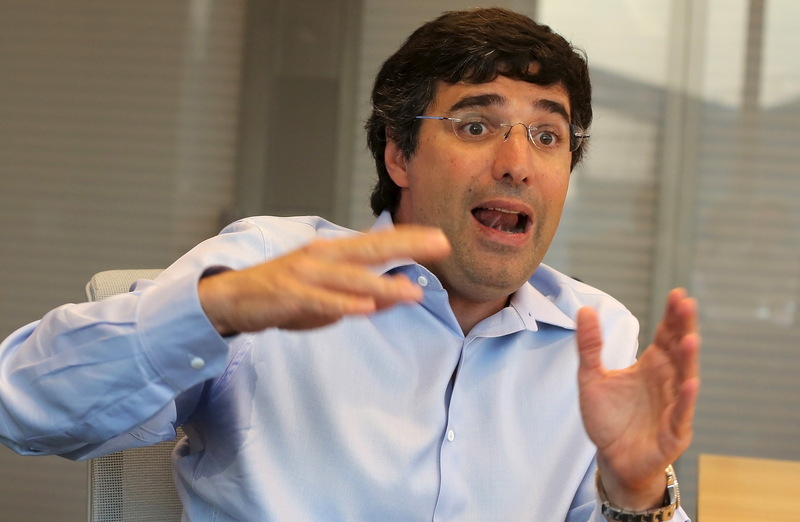 BTG Pactual said that a group of seven partners had taken control of the company from Esteves on Dec. 2, who had held about 29 percent of the bank’s stock and a so-called golden share with veto power over key decisions. Separately, on Dec. 4 the bank received a 6 billion reais ($1.6 billion) credit facility from Brazil’s deposit guarantee fund.